The 100 Push-Up Challenge and Other New Classes Live Now! Aaptiv Trainer Kenta Seki is at it again—this time with the 100 Push-Up Challenge! Intimidated? Don’t be! Instead, rise to challenge and use this week to really push past your limits. Speed Inspiration with Rochelle M.
Speed Work: This workout is designed for runners who want to build speed and stamina. Work through five sets of 4-minute intervals, alternating between your running and jogging paces. You’ll have opportunities to increase your speed in a ladder format. 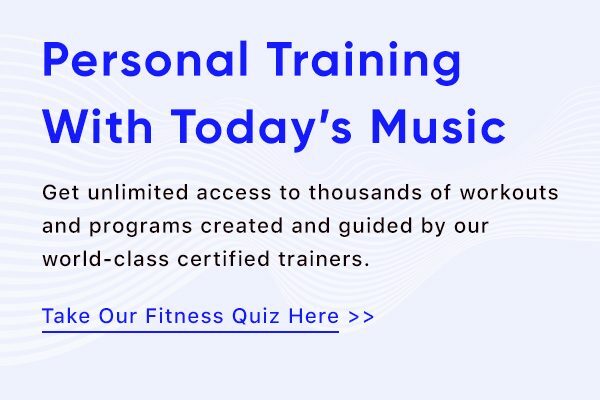 Give Me Your Love with Jaime M.
Intervals: This beginner elliptical workout is all about the love in your heart and passion in your soul to get you to the finish line. Work through speed drills, climbs, and sprints. 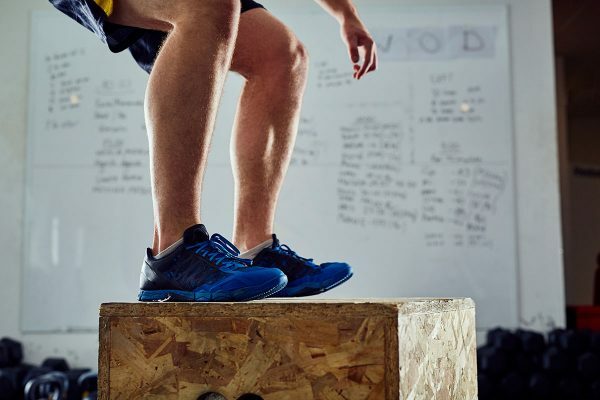 Let this playlist and positive coaching push you to the edge of the workout and beyond! Put the Fun in Functional with John T.
Multidirectional + Intervals: This beat-based intermediate elliptical workout is a three-song circuit that will be repeated once. Sweat through ladder drills, reverse direction training, and intervals. Push play and move to the beat and dance on the elliptical! Every Moment Counts with Katie H.
Resistance: This class is all about appreciating every small step in your journey to the top. You’ll have five songs to work from an easy resistance all the way up into the double digits. Each song is less than 4 minutes long, which means that the changes will come quickly and the time will fly. The goal is to take advantage of every mini-moment, so no opportunity passes you by. Find our outdoor running and elliptical classes in the Aaptiv app today. You Make Me Feel with Jaime M.
Incline Walk + Jog: The beginner treadmill workout is the perfect blend of walking, incline intervals, and jogging challenges, all set to a playlist to keep you feeling the beats, energy, and success of your sweat! Quick and Tough with Rochelle M.
Intervals: This workout is designed for runners who want to build speed and stamina. Work through five sets at your running and jogging paces. The class is quick and tough and will help you get your sweat on! Less Rest, More Sweat with Ackeem E.
Intervals: This workout is specifically designed for the all-around aaplete. You’ll focus on all the key training components of running, including developing strength, speed, and endurance. Practice Not Perfection with Nicole S.
Vinyasa Flow: Show up today with the intention to own your physical sensation and perhaps work through a little struggle. The idea is that we are in practice at all times, on and off our mat. Find less judgement and more acceptance as you link breath to movement. You’ll need a yoga block or two for this class. Check out our yoga and treadmill classes in the Aaptiv app! Stronger Than I Started with Katie H.
Endurance: The goal of this ride is to finish stronger than you started. After warming up, you’ll have 3 minutes to give your all and set your bar for the day. Recover with intervals in and out of the saddle, then hit an 8-minute long endurance challenge to test your strength. Finish off this ride exactly how you started, with 3 minutes to give your all. Decide and Conquer with John T.
Intervals: Turn up the heat in this advanced indoor cycling ride. The playlist has six songs, broken into a three-song circuit you’ll repeat once. Start with a seated flat, then move on to jumps in and out of the saddle, and finish with intervals. One Minute Please with Ackeem E.
Full Body: This is a full body strength routine, with a huge focus on core. You’ll start with a four-movement core circuit, followed by a total body EMOM of six exercises with unilateral patterns. These will recruit your core without isolating it. You’ll need a set of dumbbells for this workout. All About That Core with Amanda B. Core + Weights: This quick 10-minute workout focuses on building strength in your core. You’ll have three rounds of work, with each interval ranging from 15 to 45 seconds, as well as 15 seconds of rest in between. Your movements include high knees, dumbbell plank pull-throughs, press sit-ups, and bicycle crunches. Grab a set of dumbbells ranging 10lb to 20lb, as well as a mat, and push play! Fit & Lit with Amanda B. Full Body + Weights: This 35-minute workout checks off all the boxes: cardio, core, and strength. The exercises are perfectly combined to give you the total body workout you’ll want to save and do again! Work your legs, core, arms and heart rate with jacks, air squats, mountain climbers, and more. Grab a set of dumbbells and a mat for this workout. The 100 Push-Up Challenge with Kenta S.
Upper Body: You did the Sit-Up Challenge and Squat Challenge, it was only a matter of time until there was the 100 Push-Up Challenge. Work through 100 Push-Ups, divided into eight total sets: two sets of 20, two sets of 15, two sets of 10, and finally two sets of 5. You’ll have 20 seconds of recovery between each set. Push play and push-up! Inner Thigh Incinerator with Kenta S.
Lower Body: Glutes and inner thighs, oh my! This lower body workout is designed to burn and tone your inner thighs. Work through four circuits of three different movements to leave your legs feeling shaped and strong! Movements include jumping jacks, plies, lunge variations, static sumo side crunches, jumping sumo squats, plank jacks, butterfly bridges, and more! Your Morning Routine with Nicole S.
Full Body: The best thing we can do to keep our bodies mobile and resilient is to move our joints safely through their full range of motion in a pain-free manner. Do this every morning, or as often as you can, and notice a significant difference in your mobility and how your body moves throughout the day. All these classes and more inside the app. Download Aaptiv today and start a new class! An injury can be a major setback but these exercises can keep you fit until you recover. 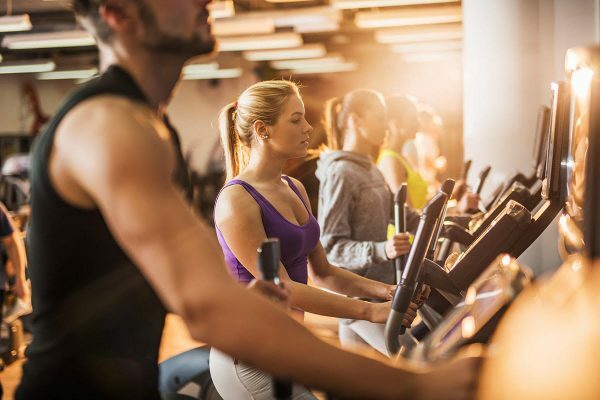 Hopping between gym machines can maximize fat burn and improve your overall cardiovascular fitness.